France | March 12, 2018–SITAONAIR is delivering a next-generation connected aircraft ‘smart core’ that will significantly enhance airline data communications and operations. The company has partnered withAstronics Ballard Technology to provide an integrated product solution using their new webCS® Wireless Aircraft Communications Server along with SITAONAIR’s e-enabled application software. This closely-integrated software and hardware solution greatly reduces deployment complexity and will bring even greater value to SITAONAIR’s airline customers – delivering enhanced capabilities and operational efficiencies – empowering airlines to realize the promises of the connected aircraft. The ‘smart core’ brings together the vast connected aircraft data collected by SITAONAIR’s e-Aircraft® DataCapture solutions for cockpit, cabin, and aircraft operations. It then distributes this SITAONAIR-processed data onboard using Astronics Ballard Technology’s flexible webCS, a smart AID/server/router that securely bridges avionics data with wired and wireless networks in a single compact box. SITAONAIR already plays a central airline e-enablement and data management role, in an age where the volume of data generated by aircraft has sky-rocketed from five parameters in 1958, to more than 200,000 today. As testament to its expertize, SITAONAIR last year launched its pioneering e-Aircraft® DataCapture solution – a result of the company’s collaboration with Air France to deliver ‘virtual black box’ flight recording solutions for automatic data collection. Today’s offering of an integrated product will further enhance airline customers’ data management approach. The combination of SITAONAIR’s established portfolio of passenger, crew and flight operations solutions with Astronics Ballard Technology’s innovative hardware and strong technical expertise in the area of aircraft avionics interfacing, will form a central pillar of airlines’ connectivity and e-enablement strategies, delivered to airlines as a managed service. 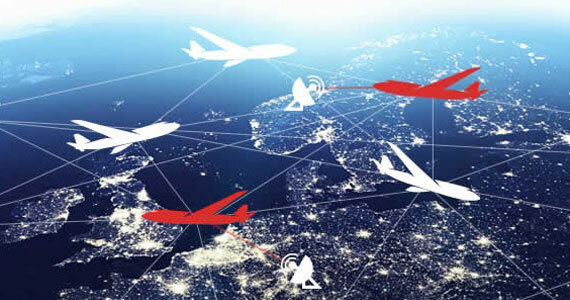 To explore the SITAONAIR connected aircraft portfolio, including its e-Aircraft DataCapture®, AppsConnect® and ACARS over IP services, visit www.sitaonair.aero, speak to your local SITAONAIR contact or submit an enquiry form. Inflight Entertainment and Connectivity (IFEC) specialists IFPL will be showcasing their latest USB power solutions at AIX 2018 in Hamburg. IFPL has focused its USB development on enabling airlines to easily transition from USB Type A to Type C, the development USB-Power Delivery and designing a modular architecture that enables seamless seat integration. As seats are getting thinner, there are fewer options for the traditional designed power outlets to be integrated in an ergonomic and aesthetic way. Collaborating with seat OEMs, IFPL has designed their modular architecture for seamless seat integration and has taken the traditional single unit design and split it into two modular components: a DC to DC convertor and a small USB Remote Power Outlet (RPO), therefore enabling the outlet to be integrated into areas previously impossible to do so. As the power convertor is separate from the outlet, it allows the unit to be placed in the arm, seat pan or another location providing better seat integration options for the small RPO. In addition, as the RPO is prone to customer induced damage, having a modular design means that should the RPO become damaged only the RPO is replaced and not the entire unit. USB-A which has bi-directional insertion meaning whichever way the passenger inserts their USB-A they will always get it right, minimising Customer Induced Damage (CID) and providing 10 times the reliability. The bi-directional connector is now intended as a standard design for all IFPL products. New USB-C outlets that support USB-Power Delivery and include IFPL’s Rapid Fit technology (patent pending), allowing just the non-expensive connector to be replaced should the USB-C be damaged and not the whole unit. A dual USB outlet that includes a USB Type A and Type C connector, providing a solution for airlines through the transition period from USB-A to USB-C.
Inductive (wireless) charge solution that has been neatly integrated into a Portable Electronic Device (PED) mount design. This allows the passenger to wirelessly charge whilst watching their PED at the same time. The Patent Pending USB “Charge to charge” outlet offers a clever way for airlines to charge their passengers to turn on the USB power, providing additional ancillary revenues. IFPL has enabled this through a simple upgrade of the current USB outlet and not a systemic system change. All IFPL USB products are now available in a front and rear mount variant allowing for different installation options: the rear mount provides the ability to provide a more seamless and elegant installation into the seat, whilst the front mount addresses the more traditional approach. IFPL has enhanced the capability of its existing 1225 unit, the 110V AC Universal Remote Power Outlet, with the addition of a high power USB-A socket and will be demonstrating the new 2011 unit on the stand. As always, IFPL’s established range of IFEC products and solutions will be on display and the expert team from IFPL will be on hand to discuss any requirements that visitors to AIX 2018 may have. Dunfermline, UK | January 31, 2018 — Cobalt Air has signed a 3-year agreement with Bluebox Aviation Systems Ltd. for the deployment of Bluebox’s portable wireless IFE platform – Bluebox Wow – across the airline’s fleet of Airbus A319-100s and A320-200s. Bluebox Wow provides wireless content streamed to passenger devices in any aircraft cabin, including up to 1.6 terabytes of film, TV, audio, games and other digital content, accessed through any web browser. With a remarkably low cost of ownership, Bluebox Wow is a discrete, portable, lunchbox-sized unit. Stowed in overhead lockers, each box’s single, swappable rechargeable battery offers the equivalent of delivering 15 hours of streamed video content to 50 passengers simultaneously. Long Beach, CA | September 25, 2017– Kontron, a leading global provider of embedded computing inflight entertainment and connectivity equipment, today announced the launch of Boeing 737 MAX line-fit deliveries in association with a one of its key customers, Global Eagle Entertainment Inc. (NASDAQ: ENT). Securing line-fit offerability from Boeing and Airbus is a strategic priority for Kontron, given the resulting efficiencies that can be offered to airlines in terms of cost savings and eliminating the need to take an aircraft out of service. Global Eagle recently announced that its Airconnect 3.0 inflight equipment is the first catalog-offerable line-fit connectivity system available for installation during assembly of the new Boeing 737 MAX aircraft. Kontron began working with Global Eagle in 2015 to obtain Boeing line-fit approval for Kontron’s Server Management Unit, Modem Data Unit and Cab-N-Connect™ wireless access point. These Kontron designed and manufactured Line Replaceable Units (LRUs) are enabling components of the Global Eagle Airconnect 3.0 inflight Wi-Fi system. Airconnect 3.0 provides KU Band connectivity, IPTV and wireless IFE services to passengers and crew, and is already proven on 865 aircraft around the world. To obtain Boeing line-fit approval for the three LRUs, Kontron worked with Global Eagle to develop an extensive qualification test program to the Boeing specifications for 737 MAX cabin equipment. The test procedures were successfully executed on the three LRUs by the combined Global Eagle and Kontron teams, with Boeing representatives witnessing. The final qualification test report was generated by Kontron and approved by Global Eagle and Boeing. “Our collaboration with Kontron adds best-in-class inflight connectivity and helps to remove the worry of aircraft downtime and revenue loss for retrofit installations,” said Per Norén, Global Eagle Senior Vice President, Aviation. East Aurora, NY | June 12, 2017– Astronics Corporation (NASDAQ: ATRO), through its wholly-owned subsidiaries Astronics Armstrong Aerospace and Astronics Ballard Technology, announced today it has received installation approval by the European Aviation Safety Agency (EASA), Transport Canada, and Direccíon General de Aeronáutica Civil (DGAC Mexico) for its webFB® Wireless Electronic Flight Bag (EFB) device for use on Boeing 737 aircraft. The U.S. Federal Aviation Administration (FAA) granted the initial Supplemental Type Certificate (STC) for the webFB in 2016. The ultra-compact webFB easily fits in the palm of the hand, yet incorporates the capabilities of both an Aircraft Interface Device (AID) and a wireless server. The built-in AID safely gathers essential data from an aircraft’s ARINC 429 and 717 data buses and conveys it to custom software or EFB apps hosted on its internal server. Using a wireless connection to portable EFB tablets, the webFB securely delivers valuable information right to the fingertips of the flight crew. In conjunction with the newly issued validations, Astronics is currently working with airlines that are actively conducting trials using the webFB to increase operational efficiencies. Airlines and software partners are developing a variety of enhanced EFB applications for the webFB including flight optimization, electronic tech logs, and real-time Quick Access Recorder (QAR) monitoring and event notifications. For software vendors, the webFB provides a rapid and practical solution for developing applications and deploying them into the flight deck and beyond. Astronics Armstrong Aerospace developed the installation design and provided regulatory certification services for the webFB. “The simplicity of our 737 test port installation design allows our airline customers to quickly install the webFB device during routine overnight maintenance visits,” said Rob Abbinante, President of Astronics Armstrong Aerospace. The STCs also approve the installation of the Astronics AES EmPower® Flight Deck USB UltraLite Power System, which charges portable EFBs while in flight. 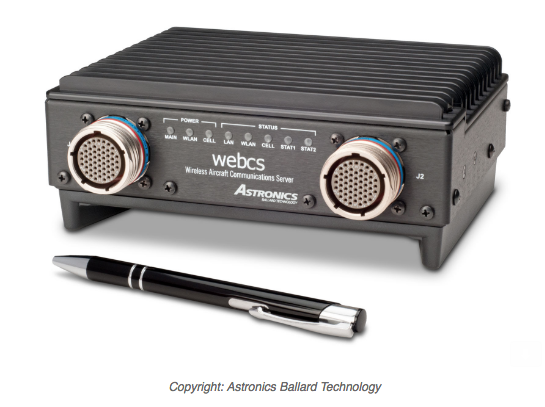 Astronics Ballard Technology will spotlight the webFB at the EFB Users Forum (booth 25) in Vienna, Austria, June 13-15. The webFB is available now. For complete product details and to request a quote, visit Astronics.com/BallardTechnology/webFB. Astronics Ballard Technology is the industry-leader for reliable avionics data bus interface solutions and world- class customer support. Astronics Armstrong Aerospace is an innovative aviation engineering, design and manufacturing company that upgrades aircraft with new technologies. Singapore | October 26, 2016– Market-leading Wireless IFE provider AirFi is proud to announce the signing of its first customer in the Middle East – and twenty-first customer globally – Nesma Airlines. Nesma plans to deliver a streaming IFE solution to passengers flying on its Airbus A320 family aircraft in November this year, less than six weeks from contract signature. With over 20 airline customers flying with the AirFi solution every day, the AirFi team is experienced in enabling such speedy fleet-wide deployments of its system. AirFi’s fully-featured portable Wireless IFE platform allows passengers to access DRM and non-DRM movies and TV shows, games, chat, duty free and post-flight shopping and daily updated news and social feeds. To provide such a wide range of content, the company currently works with over fifty content providers both big and small, including its official regional partner, Onboard International. Furthermore, AirFi’s acquisition of a European technology firm earlier in 2016 means passengers can also play with a state-of-the-art 3D moving map. This new feature showcases numerous points of interest and offers the opportunity for geo-fenced advertising. Passengers can access the content using their personal electronic devices to connect to a free onboard Wi-Fi network created by the AirFi boxes, which are positioned throughout the cabin in overhead bins. AirFi will initially offer Nesma’s passengers content in English, with the roll-out of Arabic-language content due soon after the solution goes live. AirFi made the decision to expand its global reach earlier this year. So far, it has eighteen European customers, as well as one carrier based in the Philippines and one based in Mexico. Moret also hinted that further confirmed customer announcements could be expected before the end of the year. A Fine Mess… or Mesh! Now, the Airborne Wireless Network folks are targeting the communication to and from the ground, through moving aircraft paths… that is, the planes have antennas that talk to each other, as well as, to ground stations – look at it as a flexible, moving wireless network that does not use satellites, but rather, uses the airplane(s) as the communication nodes to ground stations. As the reported requirements for off-plane data increases, as well as the development failure prediction capability based on more data, communicating black box testing, and passengers and crew data usage goes up – another method to send it might be useful! The concept in our first story is the result of a lot of new technology brought about by new data handling capabilities, advanced antenna processing, flexible spectrum management and frequency-agile transmissions and importantly, software defined networking. While Airborne Wireless Network has kept a low profile about their operation, you are going to hear a lot about the technology, and a lot about their product in the future. Stay Tuned! Airborne Wireless Network (the company) is pleased to announce that it has entered into a Memorandum Of Understanding with Kansas City-based Jet Midwest Group (Jet Midwest). It states that both parties have agreed to enter into a definitive agreement by September 30, 2016. The memorandum further states that Jet Midwest Group would be providing up to three Boeing 757-223 Jetliners to Airborne Wireless Network for its ‘proof of network concept’ and FAA certification testing. Two of these Boeing 757-223’s have tentatively been designated for the company’s use. Once the aircraft have been fitted with Airborne Wireless’ equipment and ground-testing has been completed, the company plans to fly these commercial jets from Roswell, New Mexico to Kansas City, Missouri. According to the FAA, this will be a historic “first ever” flight of a meshed commercial airliner-based network. Their plan is for global service of real-time data performance developing a virtual airborne “worldwide web”. One of the advantages of an airplane-based is, of course, no space junk which is a big deal. The only hang-up is you have to get a lot of folks in the game with all their aircraft before enough coverage is available as a reliable connection service. If there are enough players, the advantages, however, result in multiple signal paths, a true “meshed network”, and no single point of failure. We are sure you can see the issues, especially since we are in the heyday of potential signal hacking but being some 30,000 feet above ‘bad guy’ signal sources may have value, not to mention the removal of ground-to-air and air-to-ground weather-related signal and distance losses. This is worth watching. Last week, Boeing’s Father of the B747, Joe Sutter, passed away at 95. Mr. Sutter was involved with many planes that Boeing built like the B377, the “Dash 80”, B707, B720, B727, B737, and famously as the Father of the B747. He was a nice man and always had the time to say hello… goodbye Joe. AIN reports in aircraft cabin electronics this year that, Aircraft Cabin Systems came in second in their Product Report Survey. Gogo Business/Satcom Direct tied for first place. Additionally, Satcom Direct won for overall product reliability. Check the survey results out here. AIRBUS announced orders from VIETJET for 10 A321ceos and 10 A321neos and JETSTAR PACIFIC for 10 A320ceos; and MOU from VIETNAM AIRLINES for 10 more A350s. We also note that AIRBUS delivered 61 airliners (47 A320 Family, seven A330s, six A350s, and two A380) in August versus 44 (32 A320s, 10 A330s, two A380s) in August 2015. It has now delivered 400 some aircraft in 2016. Delta has reported a $100 million loss from those 2300 lost flights last month, which was blamed on a bad router and data backup capability. Wow, that’s an expensive router! Check out the full story. From the folks at Aircraft Interiors Expo Asia we get this bit of info about the show – “AIX Asia will welcome more than 50 exhibitors across seating, onboard retail, passenger comfort and more, including Geven, ZIM and Mirus Aircraft Seating. We are co-located with the Future Travel Experience Asia EXPO and the APEX EXPO, bringing together over 150 exhibitors to Singapore this year and creating the airline industry’s biggest fall event for the passenger experience industry.” IFExpress will be there October 24 – 27, 2016 and we hope you will too. We should also note that while the Zika virus has now infected 151 individuals in Singapore, the first locally-transmitted Zika infection was reported this past Saturday but most cases reported are from foreigners. “We have been tracking Zika for a while now, and knew it was only a matter of time before it reached Singapore,” Prime Minister Lee Hsien Loong posted on his Facebook page. “Our best defense is to eradicate mosquitoes and destroy breeding habitats, all over Singapore.” Singapore is the only Asian country with active transmission of the mosquito-borne Zika virus. We are bringing our Sawyer Picardin (Consumer Reports highest rated insect repellent – look it up. Chicago, IL | May 20, 2016– Gogo (NASDAQ: GOGO), the global leader in providing broadband connectivity solutions and wireless entertainment to the aviation industry, announced today that it has partnered with aerospace software specialist PACE to connect PACEs’ Pacelab Flight Profile Optimizer – the leading flight optimization application. Pacelab Flight Profile Optimizer is a unique decision support tool developed for a pilot’s electronic flight bag (EFB) that’s designed to continuously evaluate numerous flight data metrics thus optimizing flight paths for maximum efficiency. Under this partnership, the Pacelab Flight Profile Optimizer application will be connected in real time so a pilot will be able to adapt to changing conditions while in flight to reduce fuel burn and to improve ontime performance. This partnership is another example of the value of the connected aircraft and the benefit of having access to real time data and information while in flight. Chicago | May 11, 2016– Gogo (NASDAQ: GOGO), the global leader in providing broadband connectivity solutions and wireless entertainment to the aviation industry, and SKY Perfect JSAT Corporation (“SKY Perfect JSAT”), Asia’s leading provider of satellite services, announced today that the two companies have entered into partnership for increased satellite connectivity over Japan. Gogo will leverage the JCSAT–5A satellite high throughput beam to increase capacity, which ultimately means better performance for its service to Japan Airlines (JAL). To kick off the new agreement, Gogo will be offering passengers on all JAL domestic flights 15 minutes of free Wi-Fi on each flight. Gogo and SKY Perfect JSAT has also partnered to provide satellite communications services over the Pacific region with the new JCSAT-14 satellite which was successfully launched on 6th May. Blue Bell, PA | April 28, 2016– MEN Micro Inc. now offers a robust ARINC 600 compliant high speed network server for inflight communications. Pre-integrated and pre-qualified to DO-160G up to the operating system, the versatile MP70S enables aircrafts to achieve new levels of inflight connectivity for wireless data transmission, entertainment, and system maintenance applications. Using the latest Intel Core i7, quad-core 64-bit processor, the MP70S easily handles the high performance computing and networking requirements of modern avionics applications. A carrier-grade, managed 16-port Ethernet switch ensures high availability, providing six ports internally and 10 via the ARINC 600 connector. The new airborne server can simultaneously act as a passenger-accessible wireless access point, while providing a cellular 3G/4G connection for data loading. Based on CompactPCI Serial, the MP70S is a scalable system offering flexible I/O configuration and long-term availability. Exceptional reliability is ensured through the extremely robust, conduction cooled housing and firmly soldered components as well as the elimination of any maintenance-intensive cables. The application-ready, general purpose platform is ideal for a variety of inflight applications such as wireless content servers, web or flight maintenance servers, as well as in-flight entertainment systems. An ARINC 600, 4 MCU housing features a multipurpose OLED display that enables easy viewing of system status, operating instructions, and user-defined data points. Servicing and maintenance are easily handled through a convenient front panel, which also provides access to two USB 3.0 interfaces for fast, efficient data uploads and internal disk updates. Two hot-pluggable 2.5″ SATA HDD/SSD shuttles, supporting a total storage capacity of 1.8 TB, and two SIM card slots are also accessible via the front panel. The robust system provides interfaces for ARINC 429 and ARINC 717 as well as discrete I/O for connectivity to legacy aircraft equipment. London, United Kingdom | November 24, 2015– While in-flight Wi-Fi deployments continue to grab the headlines, the closely related market for wireless in-flight entertainment (W-IFE) rapidly gathers speed. According to Valour Consultancy’s latest research, the number of aircraft equipped with solutions that enable wireless delivery of IFE content will exceed 4,000 by the end of this year, and hit 17,000 by 2024. Currently, ancillary revenues related to W-IFE are low but Foster believes there is plenty of reason to believe W-IFE can be turned into a profit centre. “Airlines have a known demographic with high levels of disposable income captive for several hours at a time and this alone is attractive to advertisers. When you employ analytical tools, it is possible to segment passengers, show content and ads tailored to their preferences and ensure they are offered products most relevant to them”. The report also reveals that the emergence of portable solutions from the likes of Media inMotion, AirFi and Lufthansa Systems that do not require an STC are driving interest in W-IFE across the market. Wide-body operators are keen to deploy W-IFE too. But to complement embedded systems and not, as many predict, to replace them. “Second screening is a going to become as big a trend in the air as it is on the ground and carriers are only too aware of this” Foster concluded.